Members of the Gamber & Community Fire Co. participated in the annual suppression in-service training. 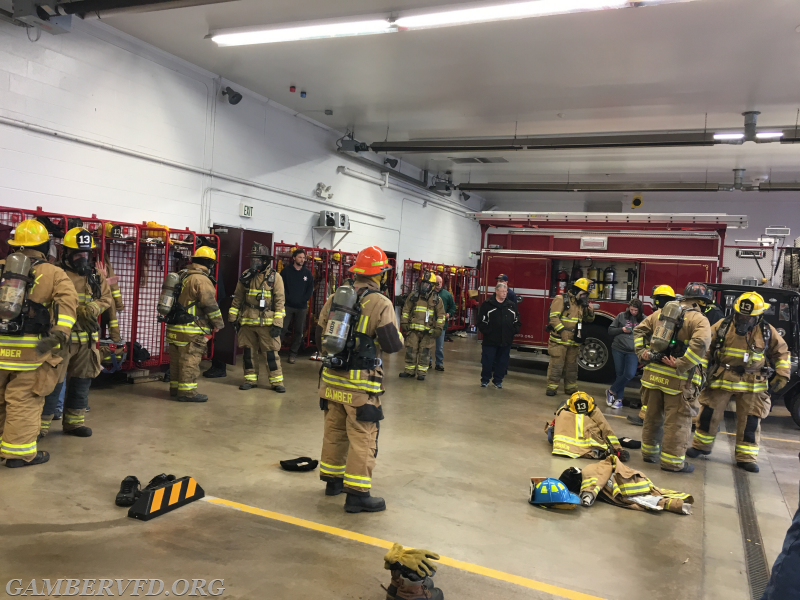 This included hazmat operations refresher, SCBA (self-contained breathing apparatus) refresher, PPE (personal protective equipment) inspection, blood borne pathogens training, CPR refresher, and fire department CPR training. Thank you to the Gamber auxiliary for preparing lunch for all participants. The training was coordinated by Captain 13-1 Alan Barnes with assistance from Chrissy Lippy-Barnes and Frank Smith. 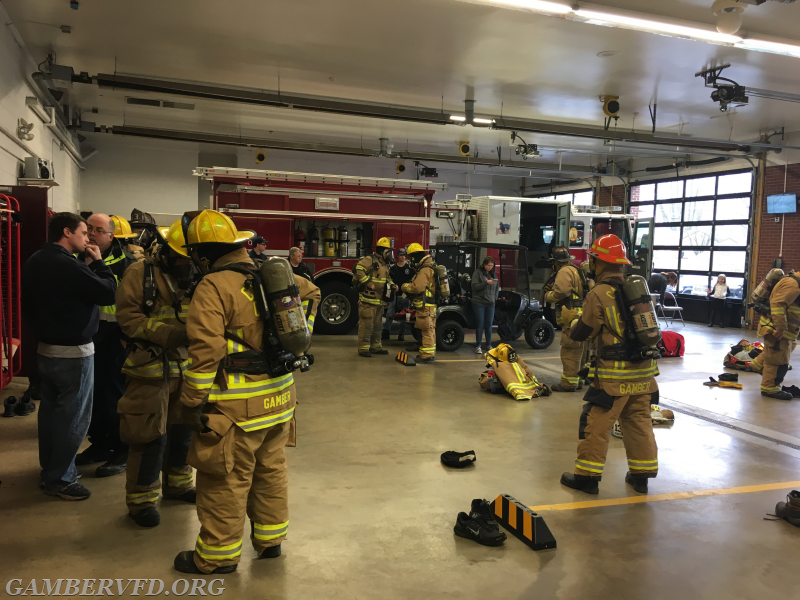 Gamber members in full turnout gear refresh their SCBA skills.